It's been a while since I've posted a travel post. The holidays got in the way of my posts. Today, I'm excited to share some our holiday travels with you!!! We spent Thanksgiving in Las Vegas. We had a blast!!! It is a great place to spend the holidays. 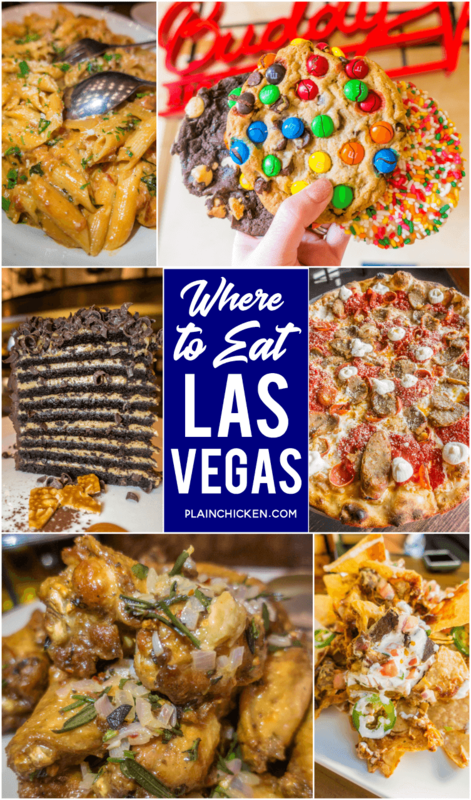 Today, I am sharing everywhere we ate in Las Vegas. We ate at some fantastic places. 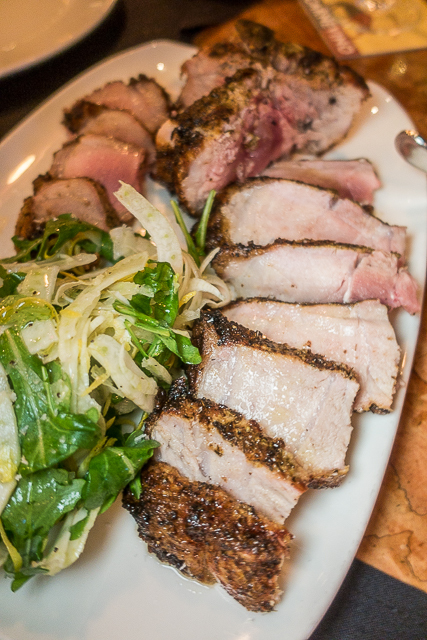 We ate at a couple of our favorite restaurants and tried a few new spots too. I am still dreaming of all this amazing food!! Don't forget to follow our 2018 travels on Instagram! We've eaten at Buddy V's on a previous trip. It had been a few years since our last visit, so we decided to give it a whirl again. O-M-G! The meal was AMAZING! I am always hesitant going to reality star's restaurants, but this one is definitely worth the trip. We shared a couple of entrees. 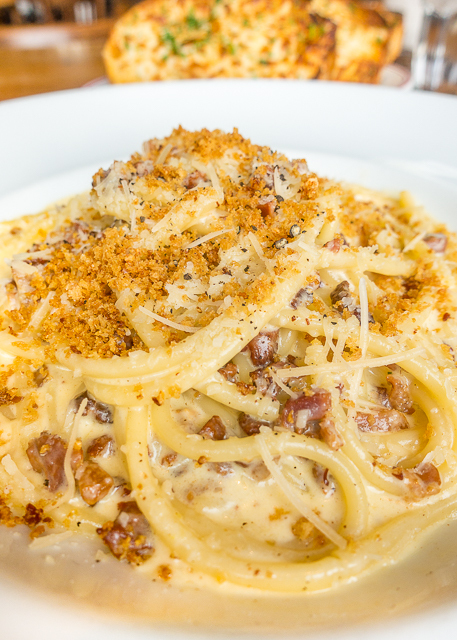 and a bowl of Carbonara. 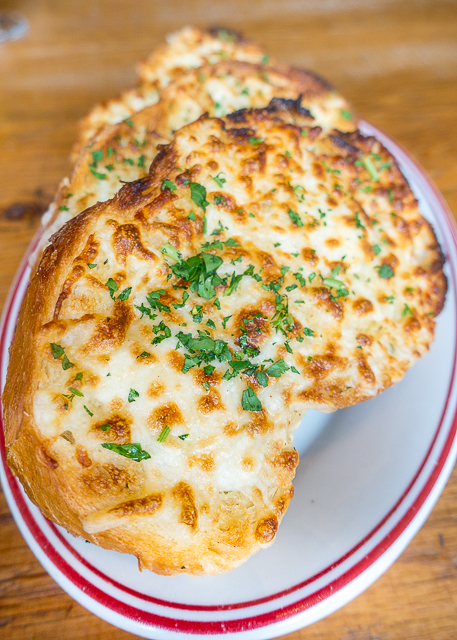 We also got some cheesy garlic bread because - why not?!?! 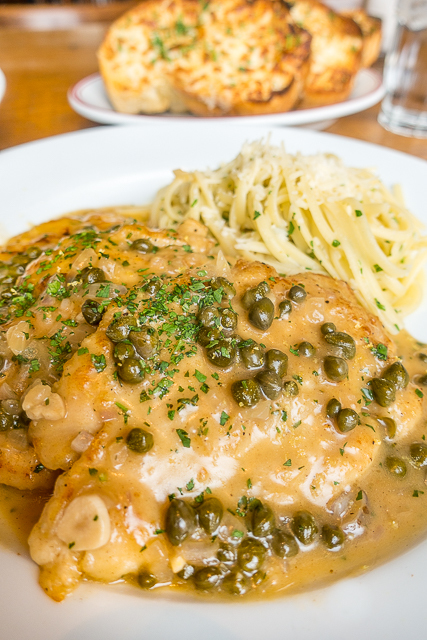 The Chicken Piccata was hands-down one of the best we've ever eaten. 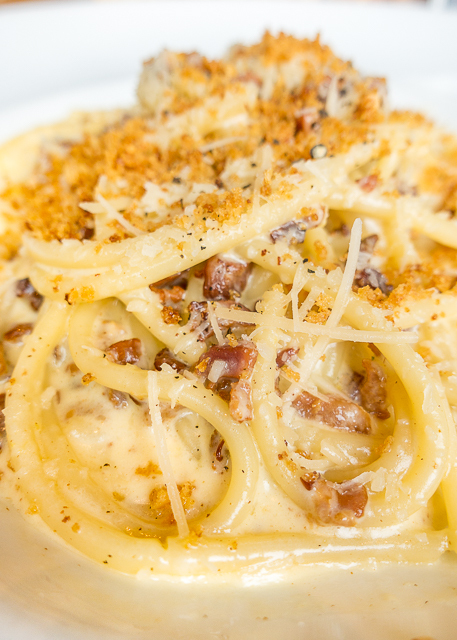 I wanted to lick the plate when we were done with the Carbonara. 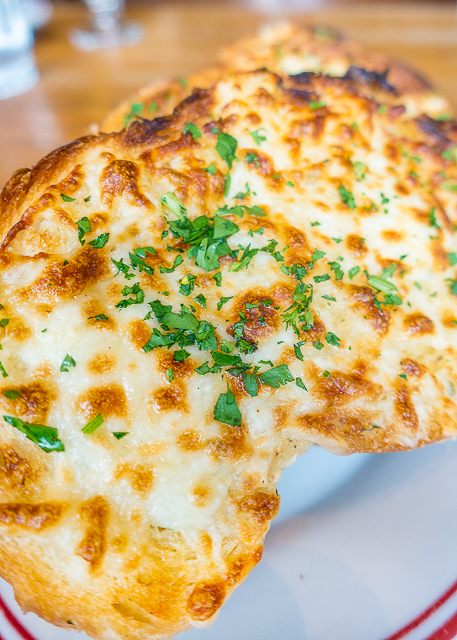 Just look at all that cheese!!!!! 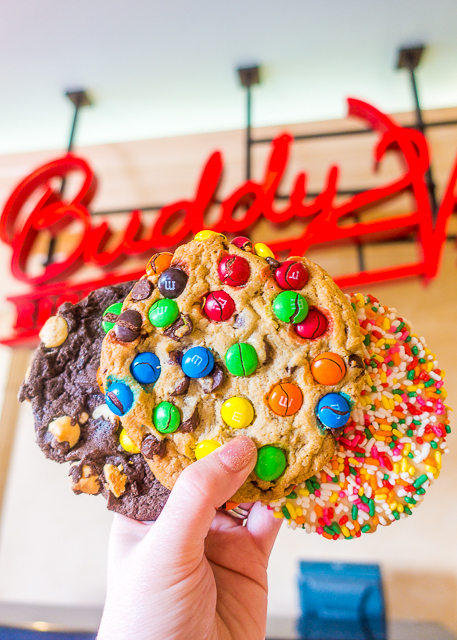 You can't hit up Buddy V's and NOT get dessert! We love Warm Nutella Cake, but this time we opted to walk across to the bakery. I LOVE the M&M cookie. It is my all-time favorite!! 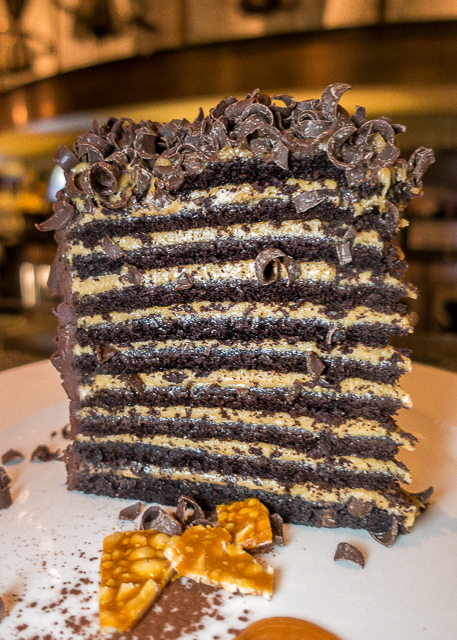 How amazing is this 20-layer Peanut Butter Chocolate Cake from Lavo? We stopped in just for dessert one night. It was FANTASTIC! Worth every single calorie!!! I was SUPER excited to try Pizza Rock in Downtown Las Vegas. 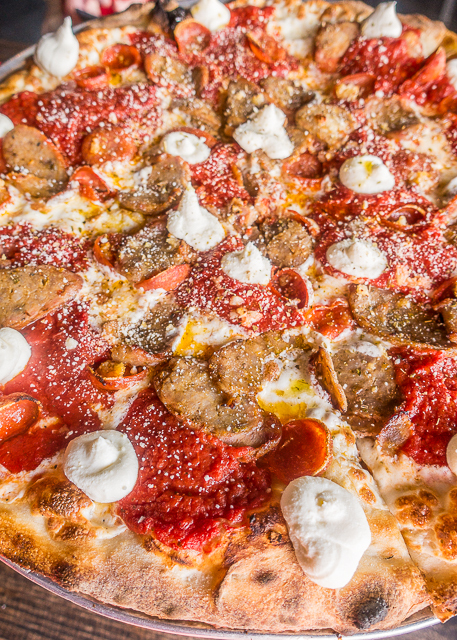 The owner, Tony Gemignani, is a pizza legend. He is a 12-time world champion! The menus at Pizza Rock are so fun! 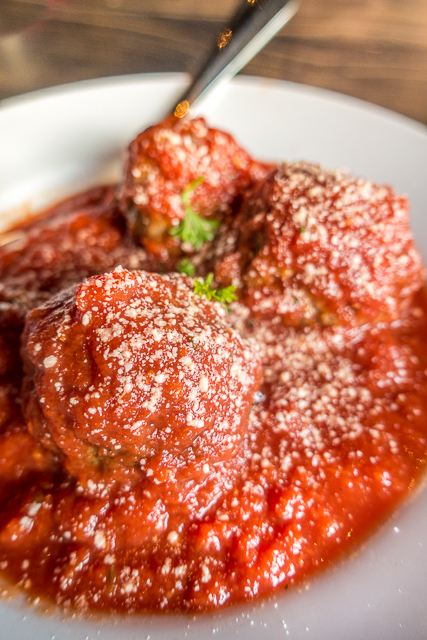 We started with the meatballs and they were AH-MAZ-ING!!! They have a TON of pizza choices. There are four different ovens in the restaurant. After much deliberation, we chose the New Yorker. 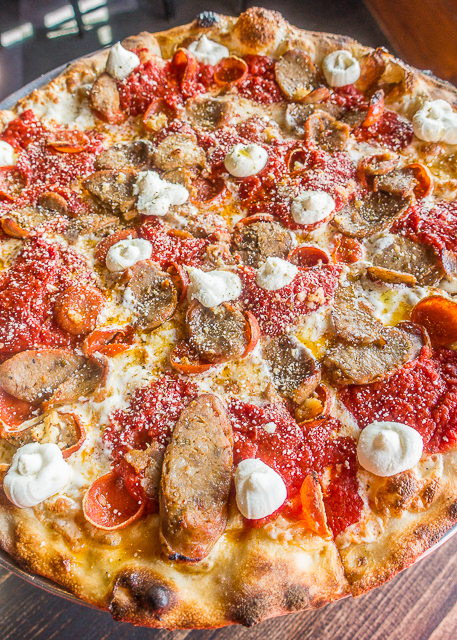 It was the Winner of 'Best Traditional Pizza in the World' at the Las Vegas Pizza Expo. Pizza Rock is on my list for our next trip. SO many pizzas to try!! Bavette's is a legendary Chicago Steakhouse that recently opened a location in the new MGM Park (Monte Carlo). We were excited to give it a try!!! 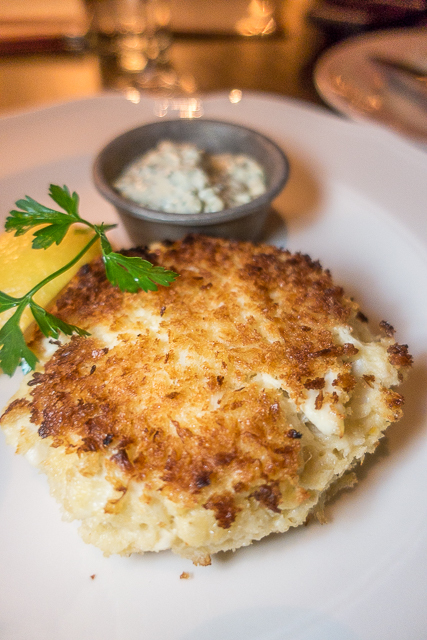 We started with a crab cake - delicious!!! 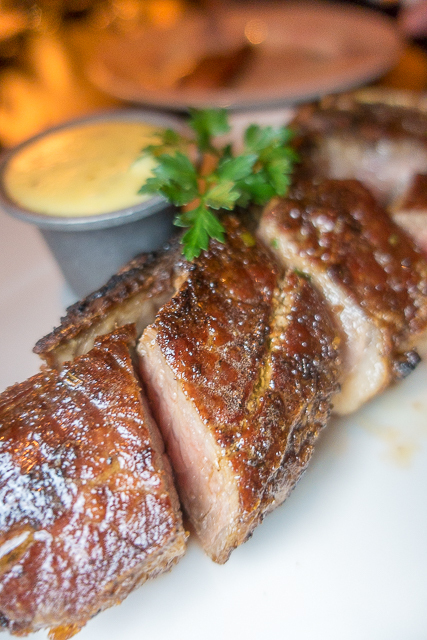 We shared the Bone-In New York Strip. 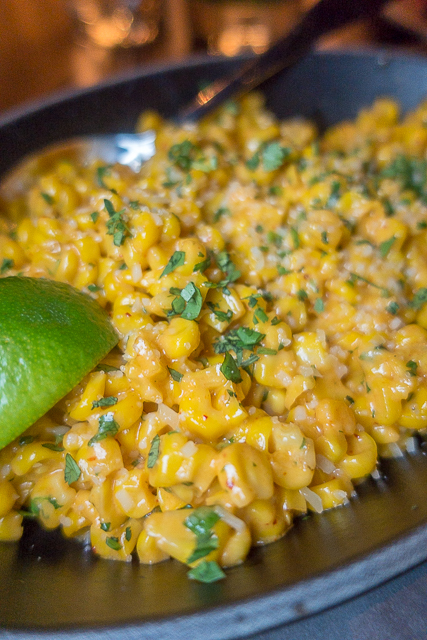 We got a side of the Elote Style Corn with chili, lime, cilantro, parmesan. 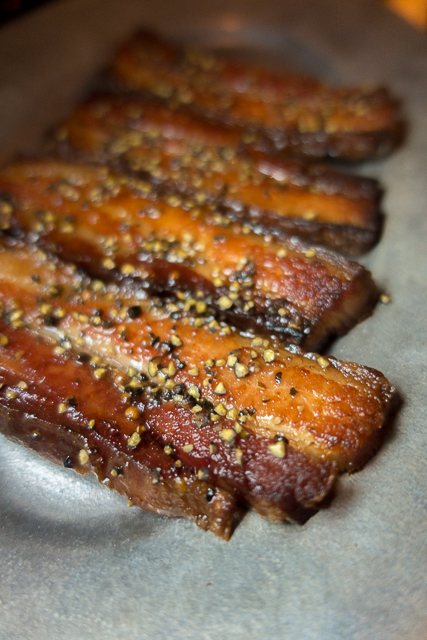 We also got a side of the thick cut maple bacon! You can never go wrong with bacon!!! Bavette's was a real treat. It has a really cool retro vibe. There is a speakeasy in the back. We didn't make it back there this time. All the reason to come back!! 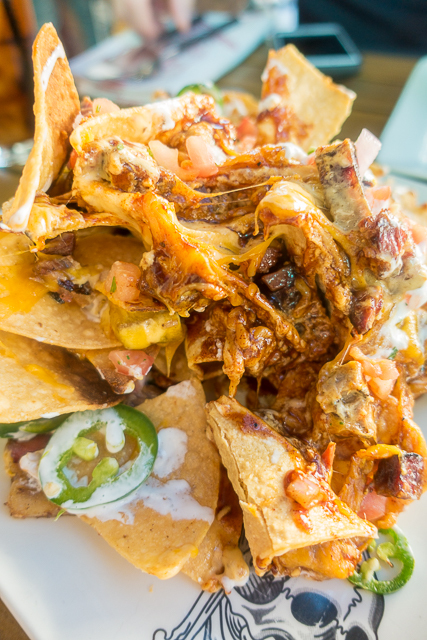 I had lots of recommendations for the Trash Can Nacho's at Guy Fieri's place in Vegas. We decided to give them a try for lunch. They were actually pretty good. It's all in the presentation though!! Super fun! 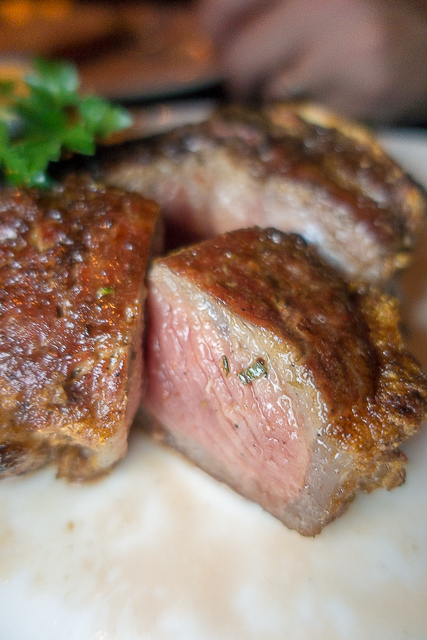 Carnevino is one of our favorite places in Las Vegas. We ALWAYS eat dinner here. Sometimes twice! We sit at the bar and get the BEST service ever!!! 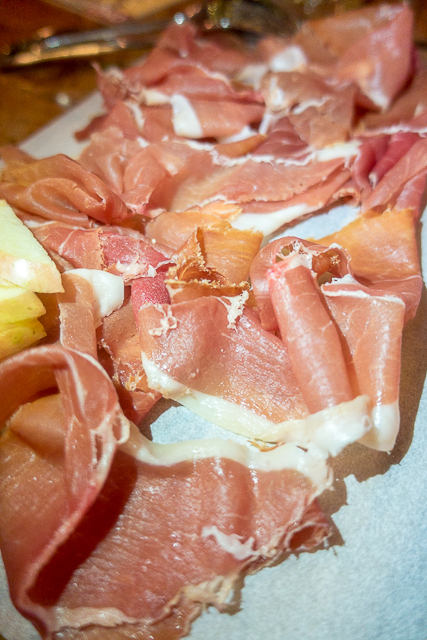 We started with the prosciutto - heaven! 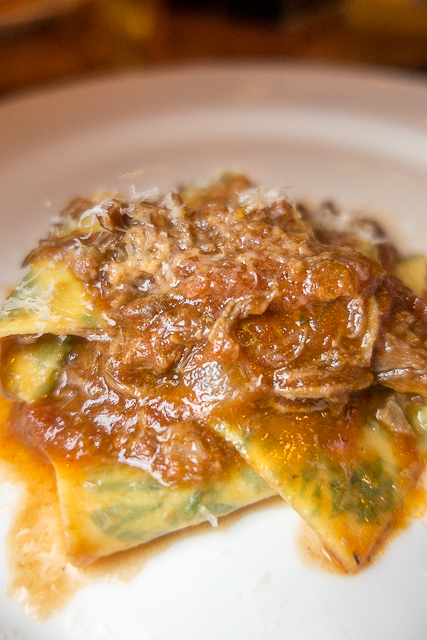 We split the Tagliatelle Bolognese. It was delicious. Just a note - the portions are SMALL! It isn't really meant to be an entree. 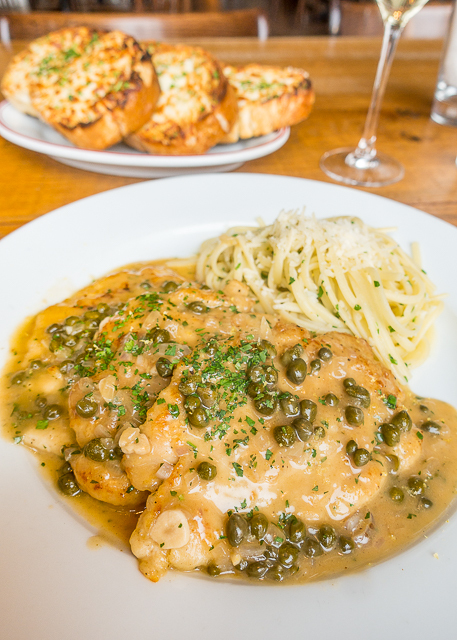 We shared the pork chop and it was seriously delicious! 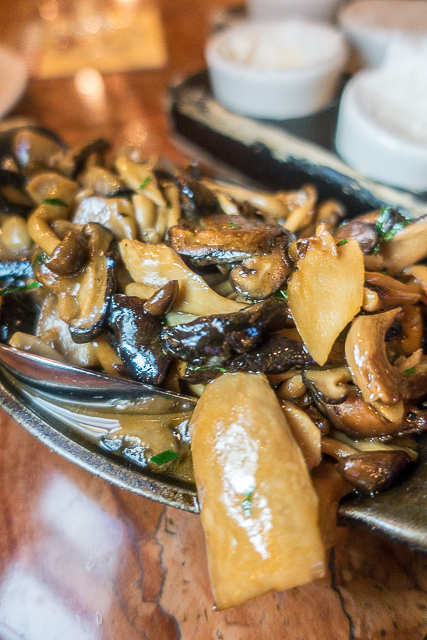 Chicken Legs got a side of mushrooms. 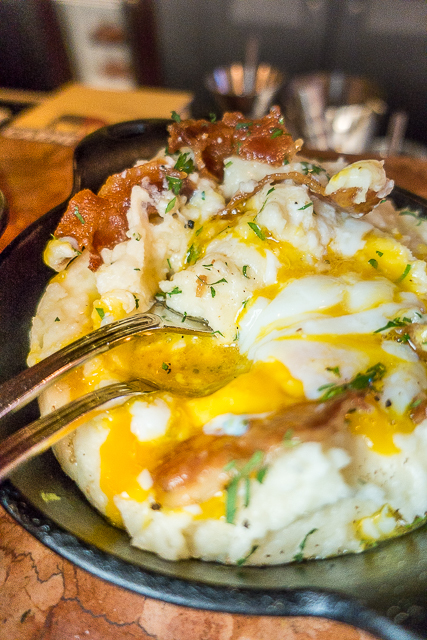 We shared the Mascarpone & Guanciale Mashed Potatoes. I have dreams about these potatoes - delicious!!!! Counting down the days until our next visit!! Get the Blood Orange Cosmo - THE BEST!!! 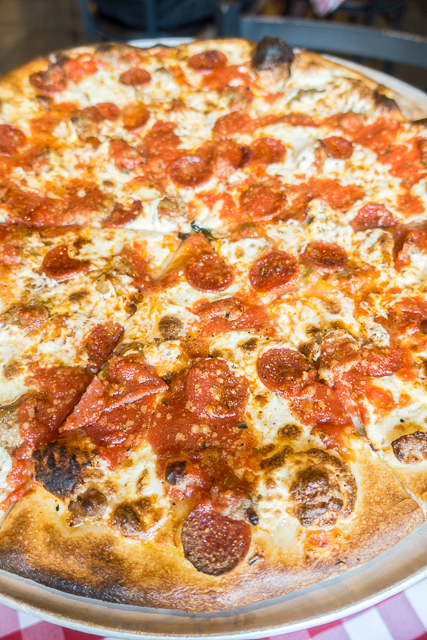 Grimaldi's is a chain, but we just love their pizza! We don't have one near us at home, so we always make a stop here when we are in Vegas!! 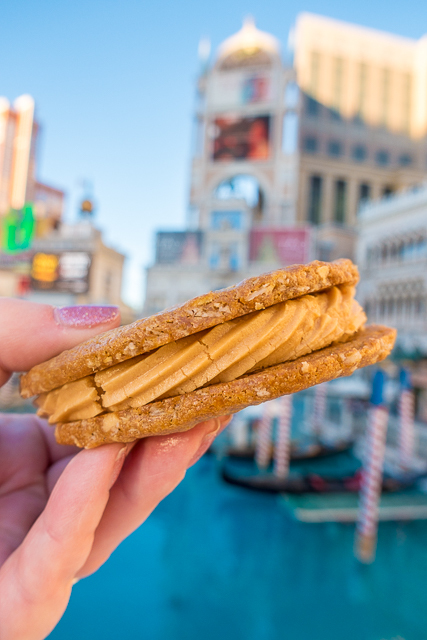 Snag a Better Nutter at Bouchon Bakery in the Venetian. That peanut butter cream is HEAVEN!! It has been years since we've eaten at Carmines. The portions are HUGE!! BUT if you sit in the bar, they offer some smaller portions. 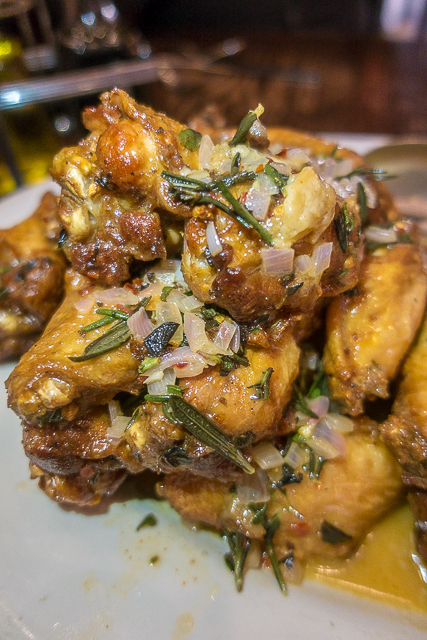 We shared the Spicy Scarpariello Wings - loaded with lemon and garlic. 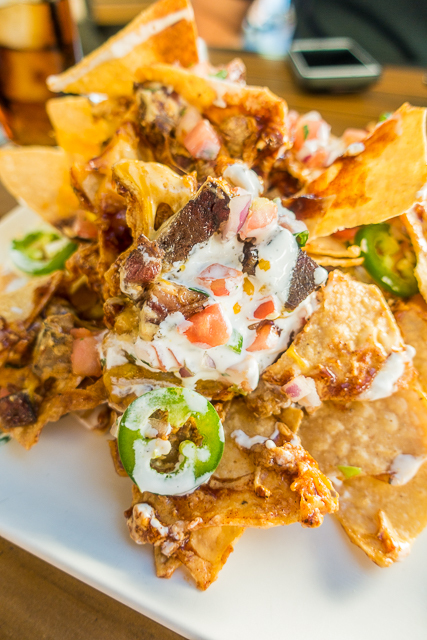 I am on a mission to find the recipe so I can make these at home. 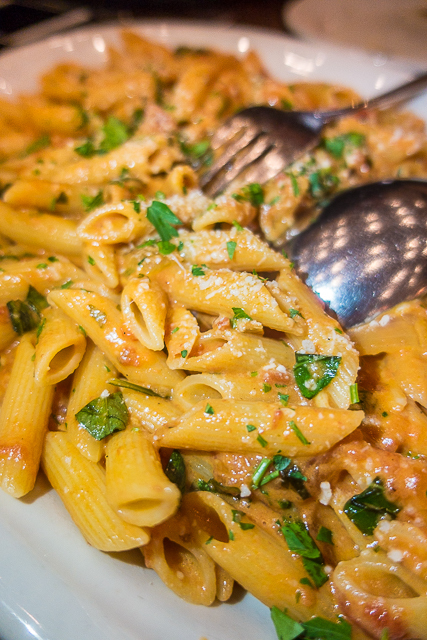 We also shared a small portion of the Penne A La Vodka. I wanted to lick the plate! We love Carmines! 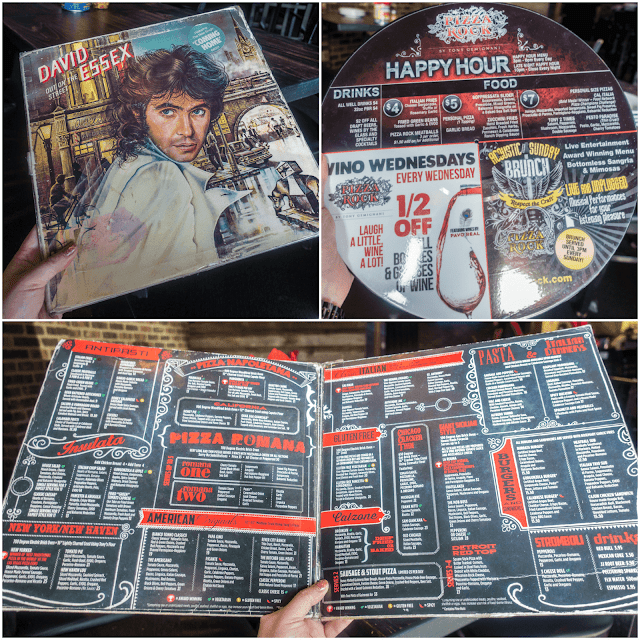 They have a fantastic happy hour!!! 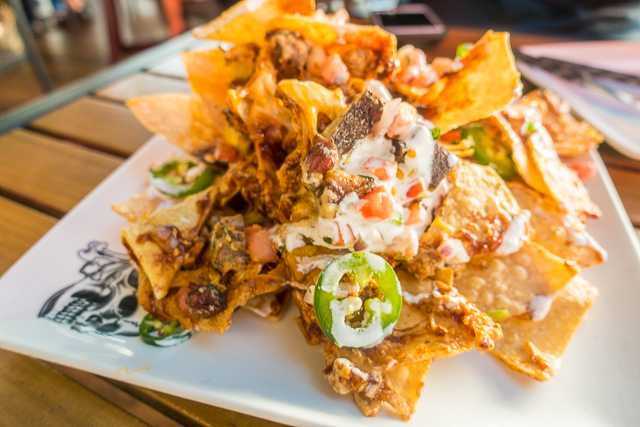 Best happy hour on The Strip! 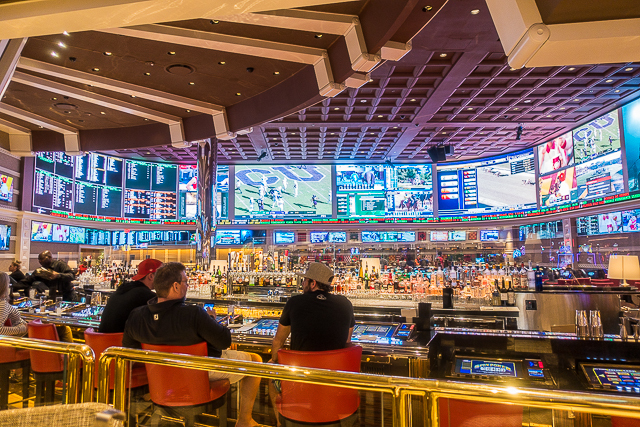 Our last stop in Vegas was at the newly opened restaurant in the sports book at the Wynn. Charlie's is basically IN the sports book. GREAT place to watch a game!! 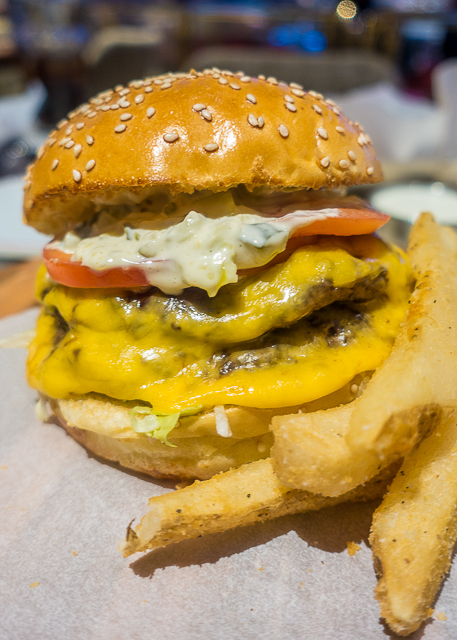 and a burger with fries. Charlie's also has those crazy milkshakes. 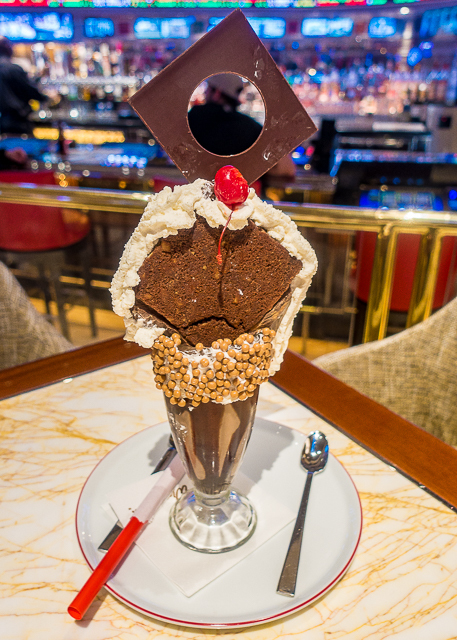 We got the Crazy Brownie Shake. We ate it with a spoon - really good!!! We ate a TON, but thankfully we also walked a TON!! 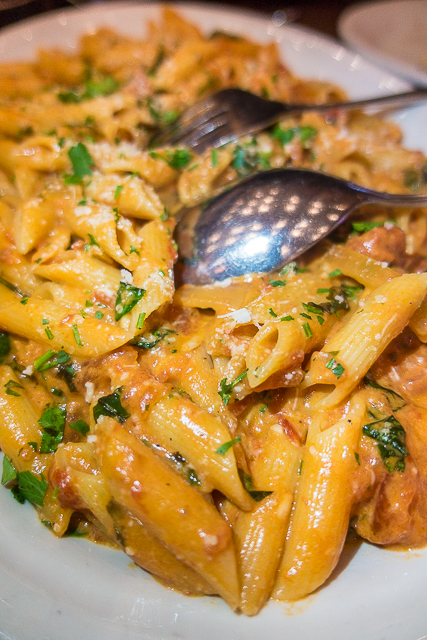 Already dreaming of where to eat on our next trip!!! Well NOW I'm Hungry!!! Lol Will have to try some of these! When are you going back to Vegas? 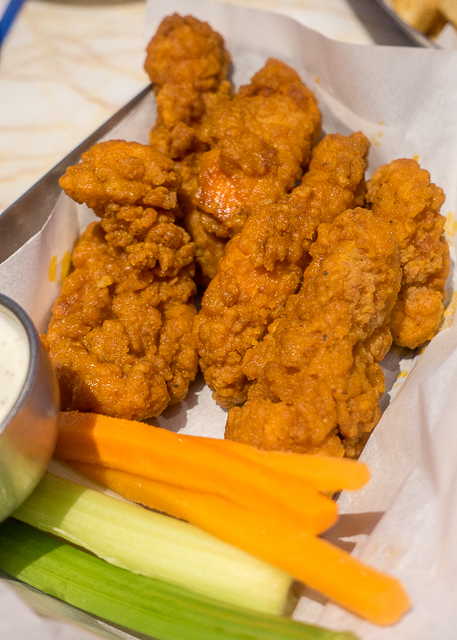 Looking forward to seeing any new places you've tried!